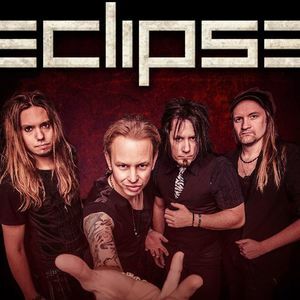 Eclipse started life in 2001 when founder members Jay Thurlow (piano, vocals) and Guy Sweenie (guitars, vocals) began writing songs along with Fred Sweenie - the band manager and musical director. Eclipse is a 4-piece band comprising of vocals, piano/keyboards, guitar, bass guitar and drums. Our music encompasses a wide variety of styles, mainly due to The Beatles being one of the bands biggest influences. At live gigs we blend a selection of our own songs with cover songs from our favourite and most influential artists such as The Beatles, Oasis, Elton John etc. Eclipse are currently writing their 2nd Studio Album. 'Tune To Transcend' contains 10 original songs: Maybe Tomorrow Knows Why, It's Not The End Of Time, We're Gonna Be Free, Home, Movin' On, New Day, Can't Feel Love, I'll Be There, Before We Say Goodbye & Forever. All of the songs written by F. Sweenie/G. Sweenie/J. Thurlow. The album was recorded and mixed in a Pro Tools HD3 system and mastered using Waves Platinum and iZotope Ozone 3 at Staffordshire University by Guy Sweenie & Jay Thurlow. The album takes the listener on a thought provoking musical journey reflecting on life, love and changing times. "...constantly reinventing their music, never standing still..."
"...a very much down to earth approach to writing lyrics and singing style..."
"...moody reflective style songs featuring the piano..."
"...a must listen for anyone looking for something new on the musical scene..."